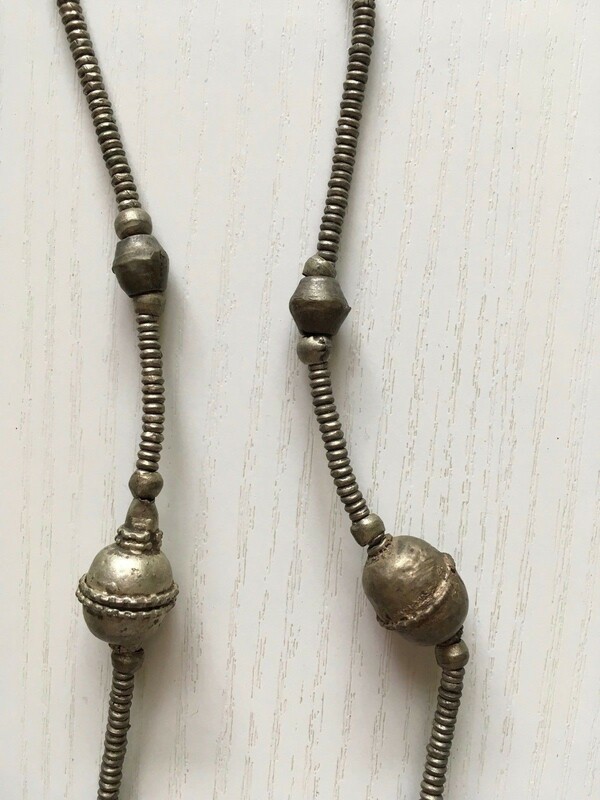 180913 - Large Ethiopian Tribal used Traditional Harar necklace - Ethiopia. 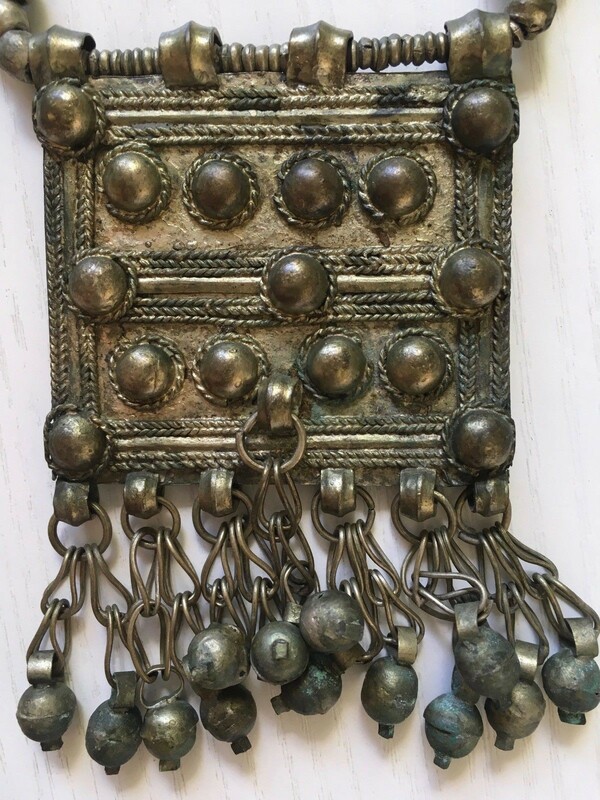 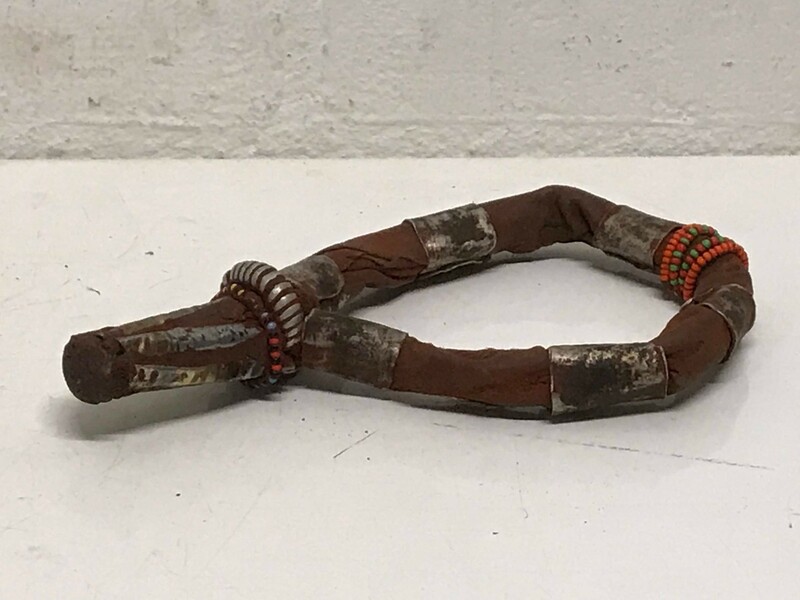 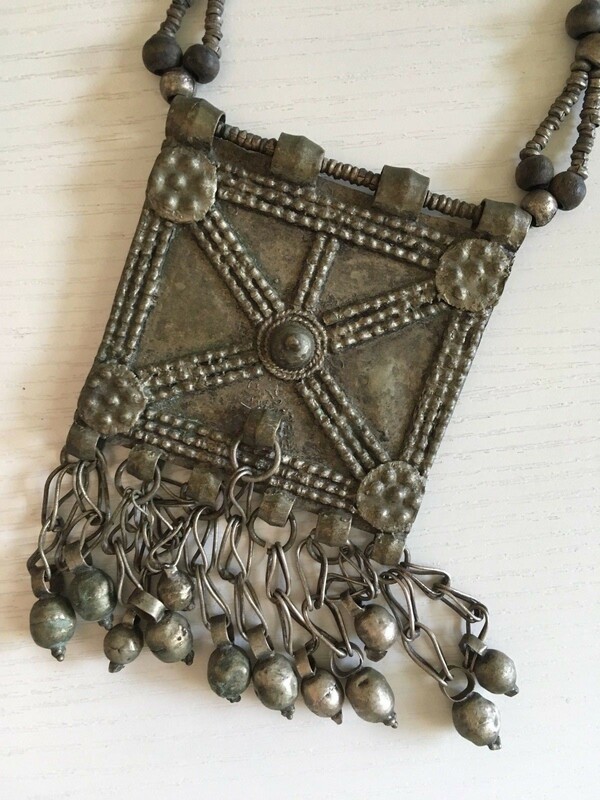 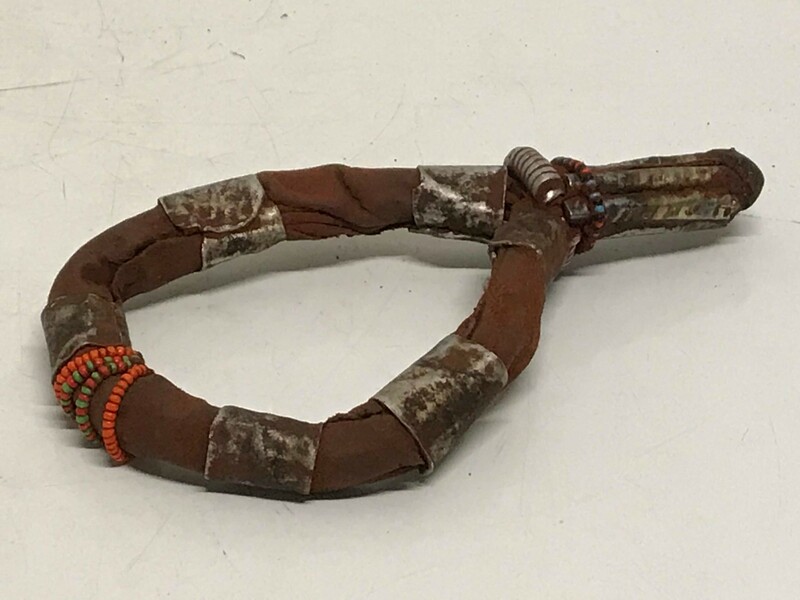 Ethiopia: Large Tribal used Old African Ethiopian Authentic Harar Necklace. 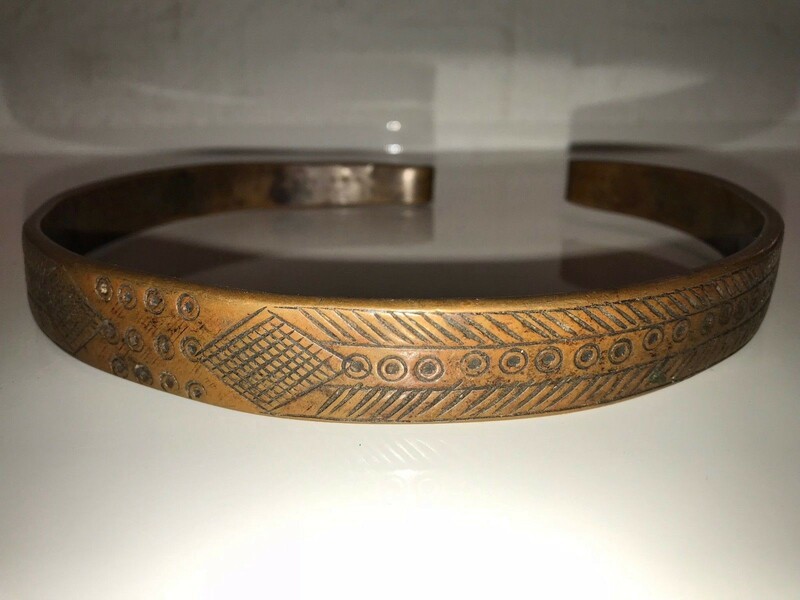 Collected in Harare, rare piece, original and authentic. 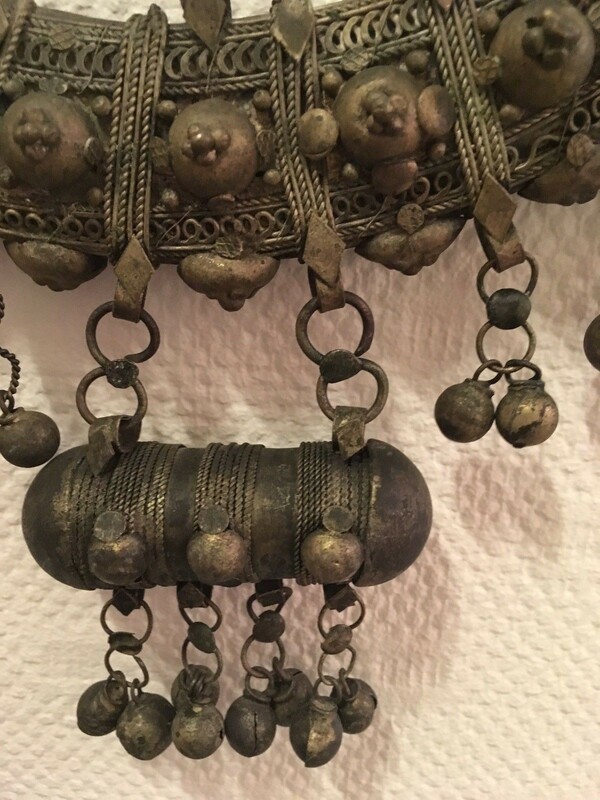 Very good condition - Dimensions: necklace 40 cm long - Under Rond Pendant are 8 cm. 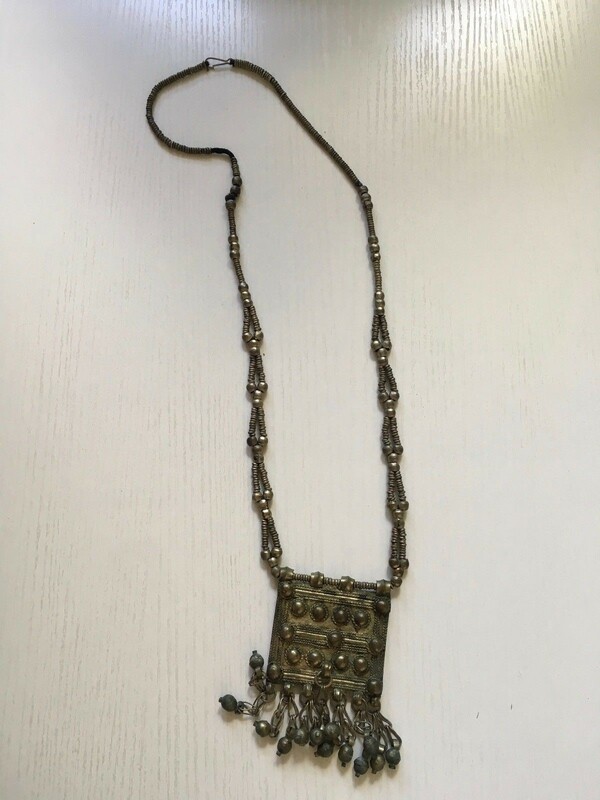 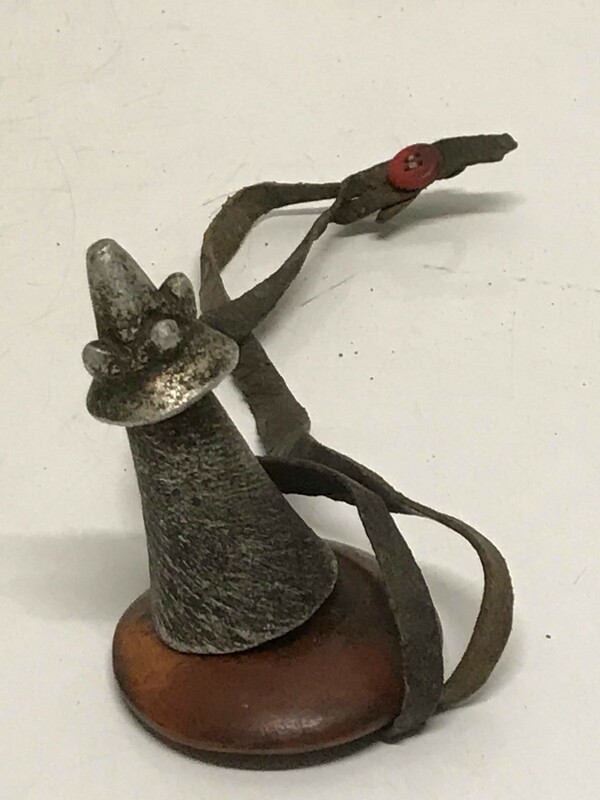 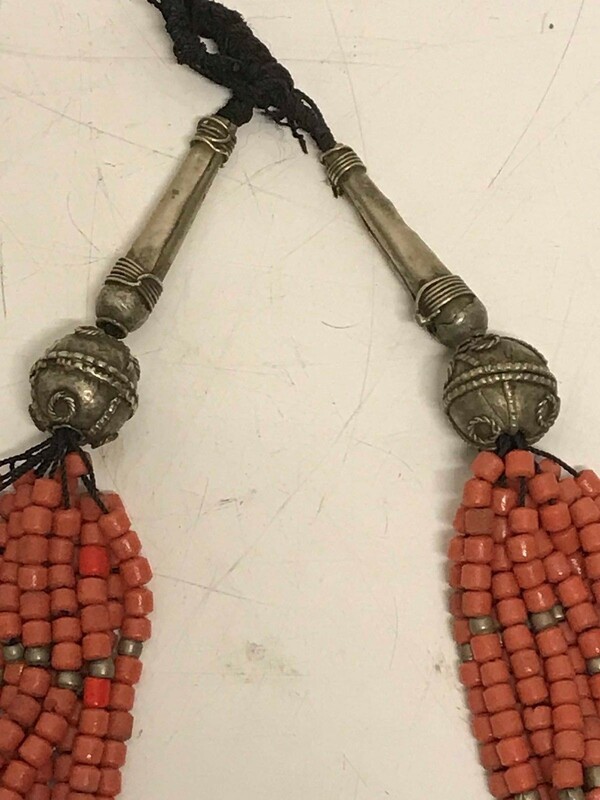 180661 - Large Ethiopian Tribal used Traditional Harar necklace - Ethiopia. 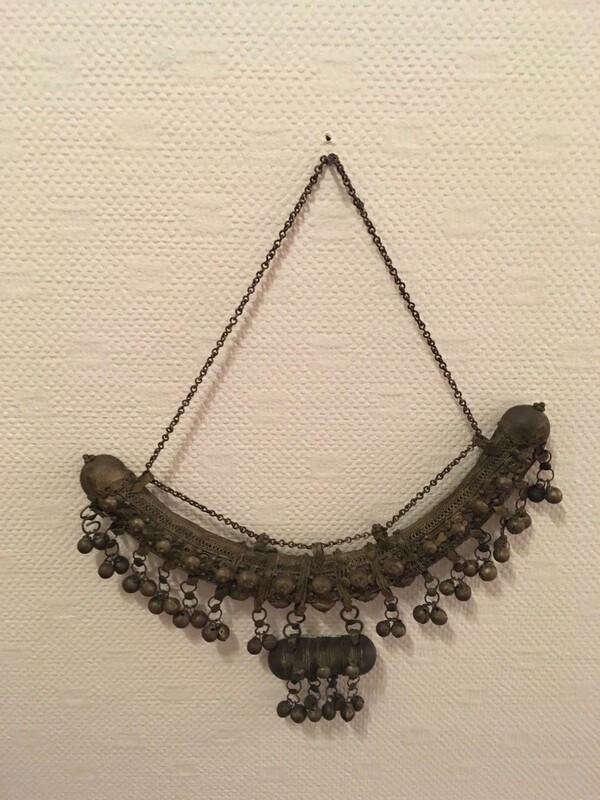 Very good condition - Dimensions: necklace 38 cm long and 23 cm inside - Pendant are 30 cm x 22 cm. 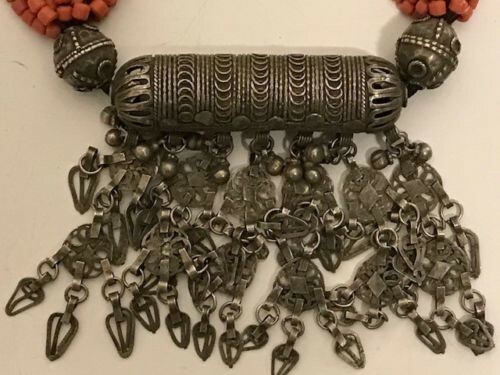 180663 - African Ethiopian Tribal used Traditional Amhara necklace - Ethiopia. 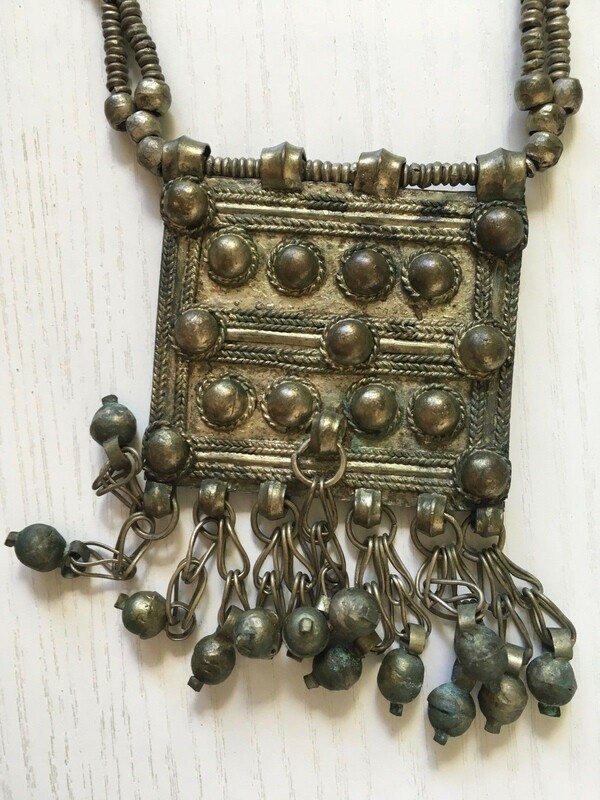 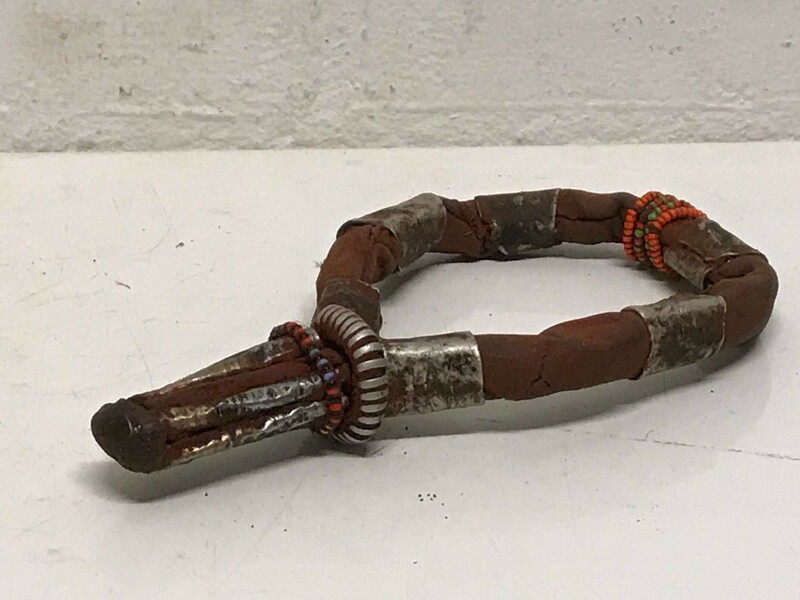 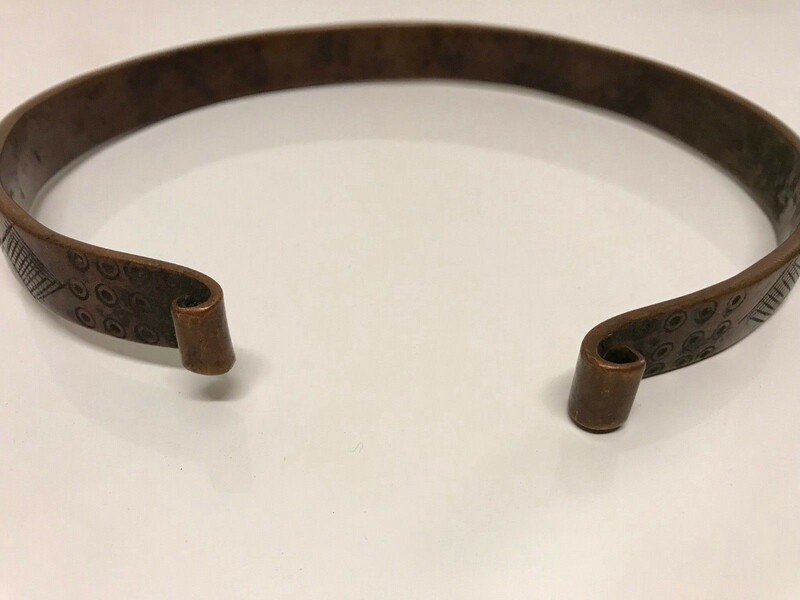 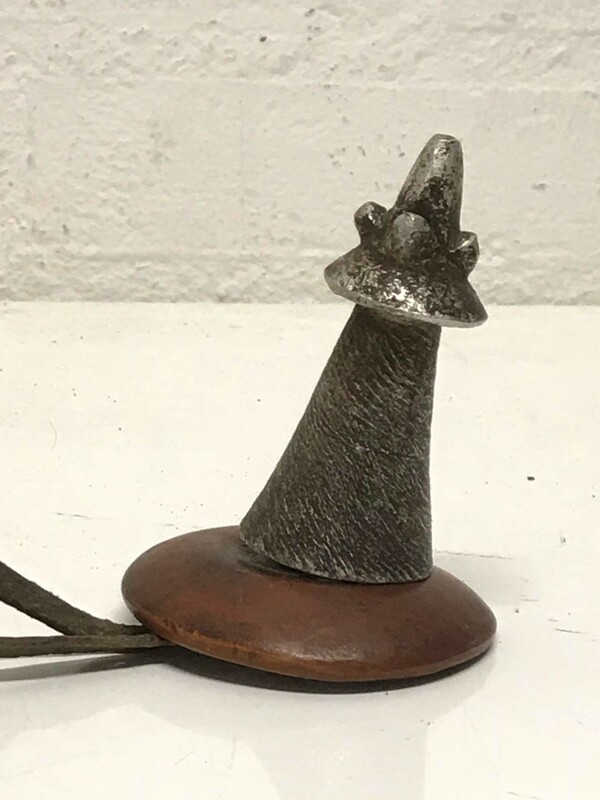 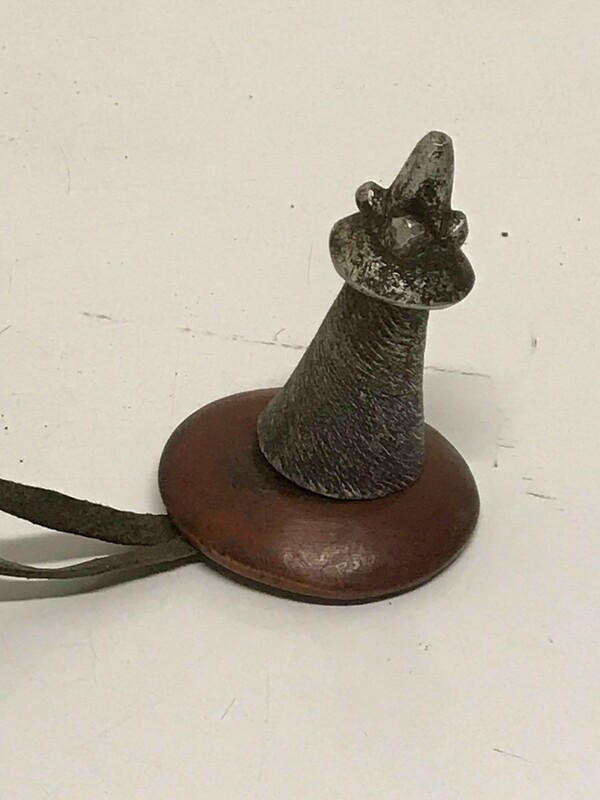 Ethiopia: Tribal used Old African Ethiopian Authentic Amhara Necklace. 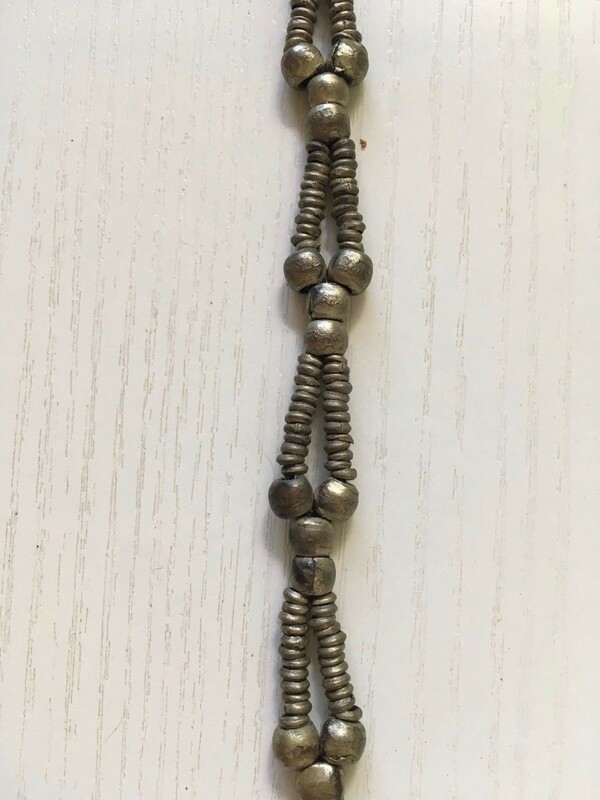 Long 24 cm and the pendant are 9 cm x 6 cm. 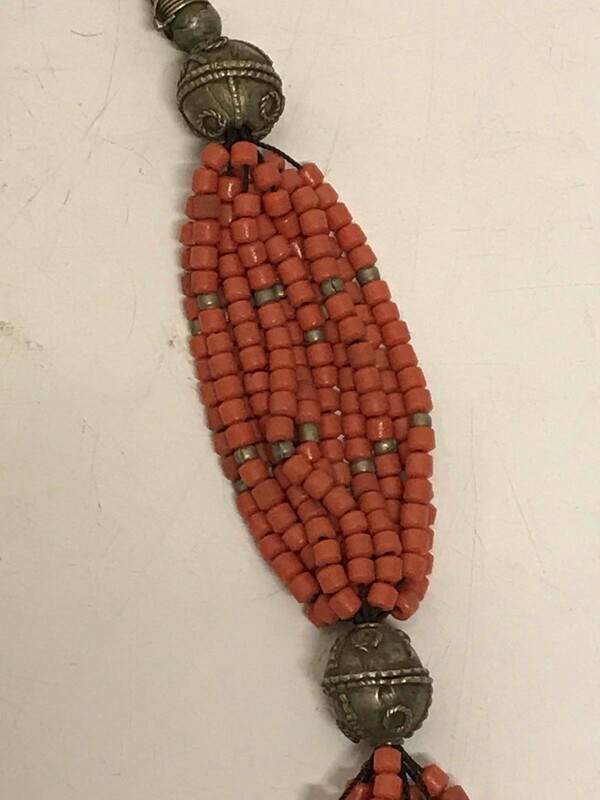 171218 - Tribal used Old African Ethiopian Arussi Beaded Ornament - Ethiopia. 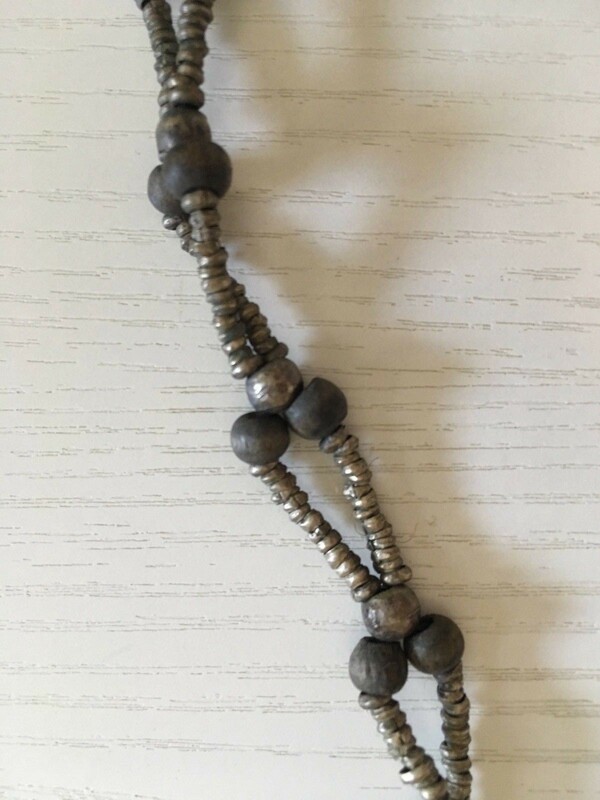 Ethiopia: Tribal used Old African Ethiopian Arussi Beaded Ornament . 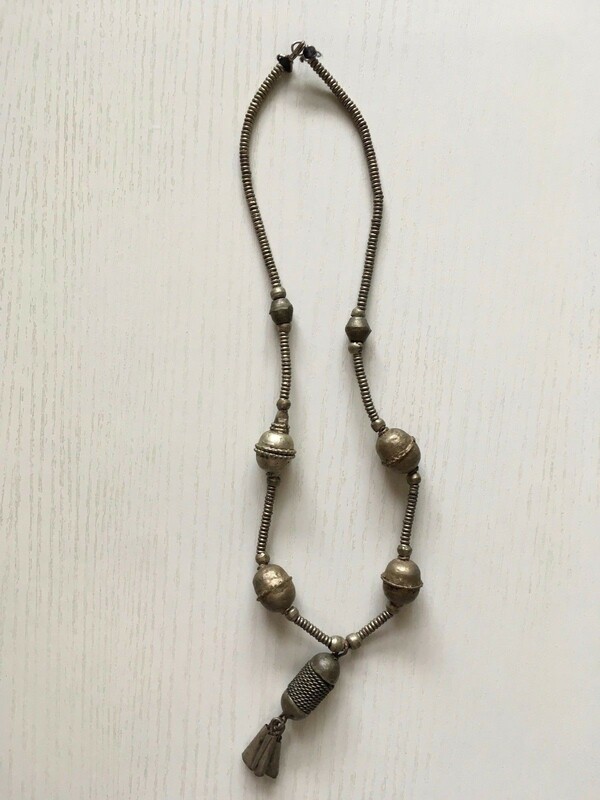 180739 - African Ethiopian Tribal used Traditional Amhara necklace - Ethiopia. 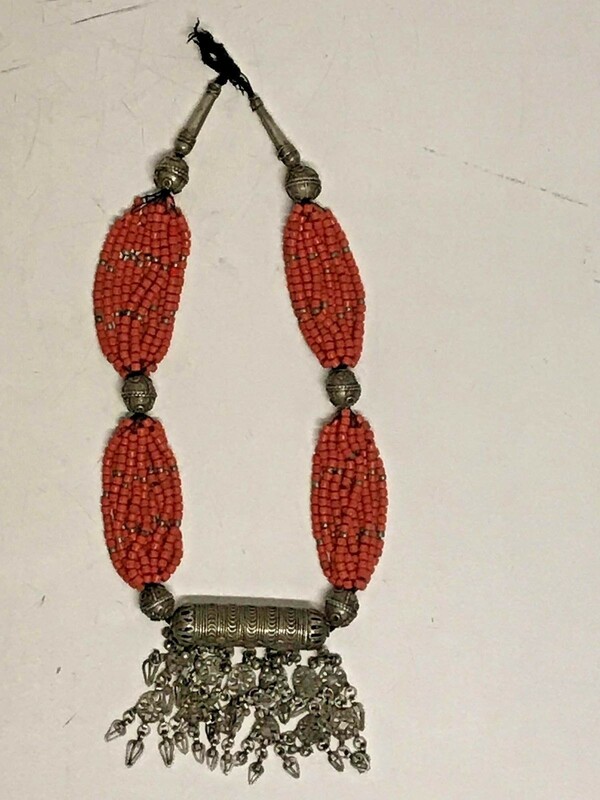 180737 - African Ethiopian Tribal used Traditional Amhara necklace - Ethiopia. 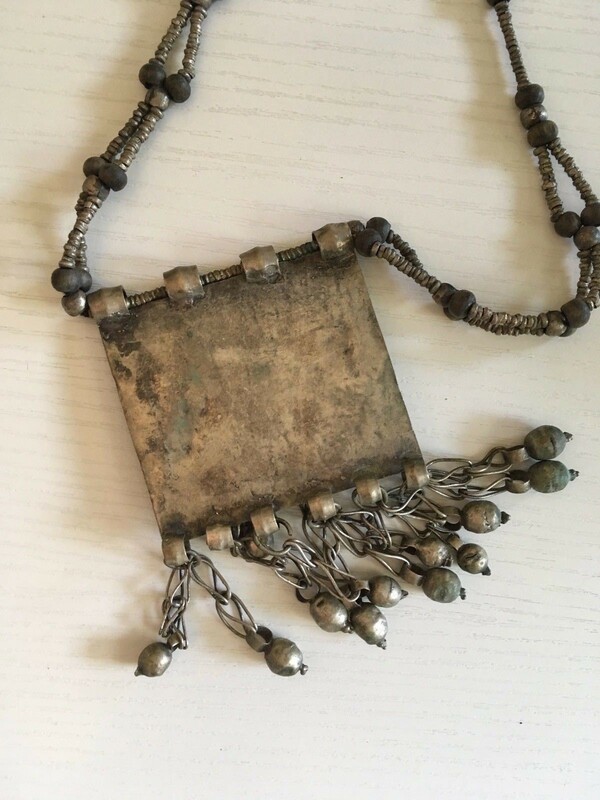 Ethiopia: Traditional Tribal used Bronze Oromo necklace. 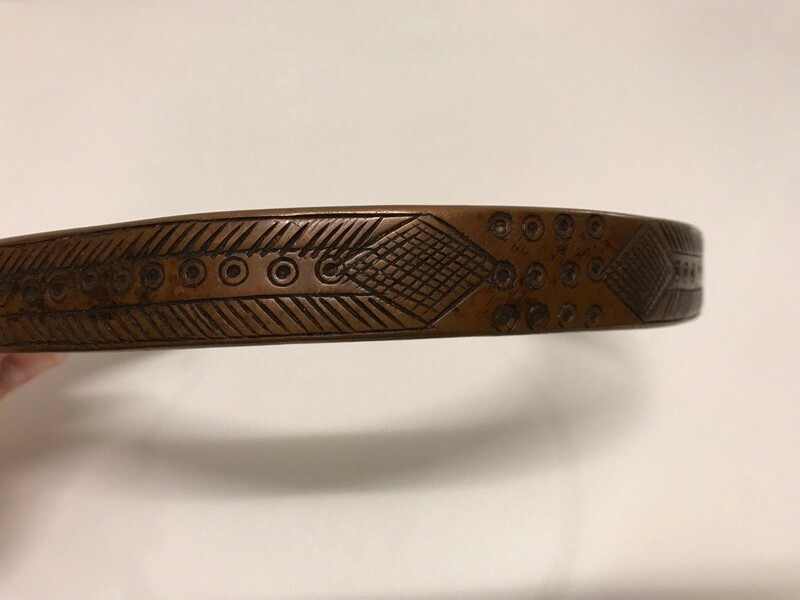 Sizes are: 19.5 cm in diameter. 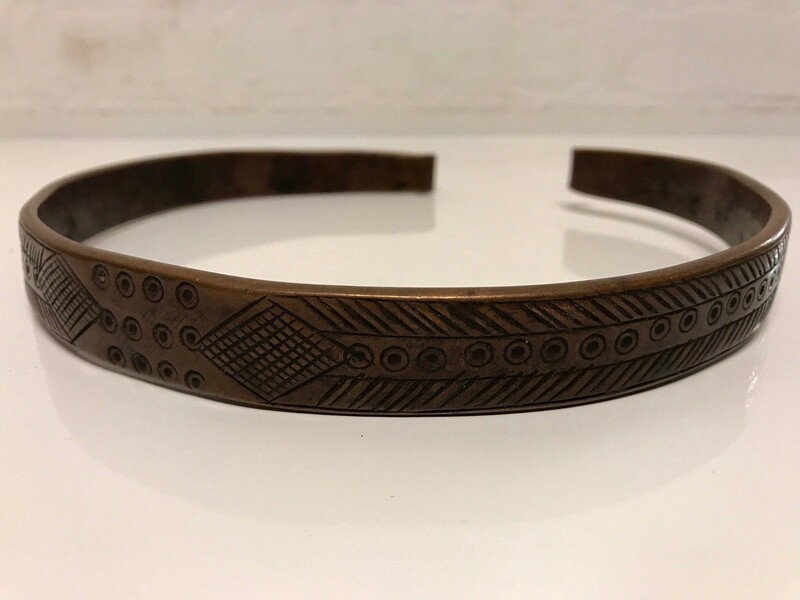 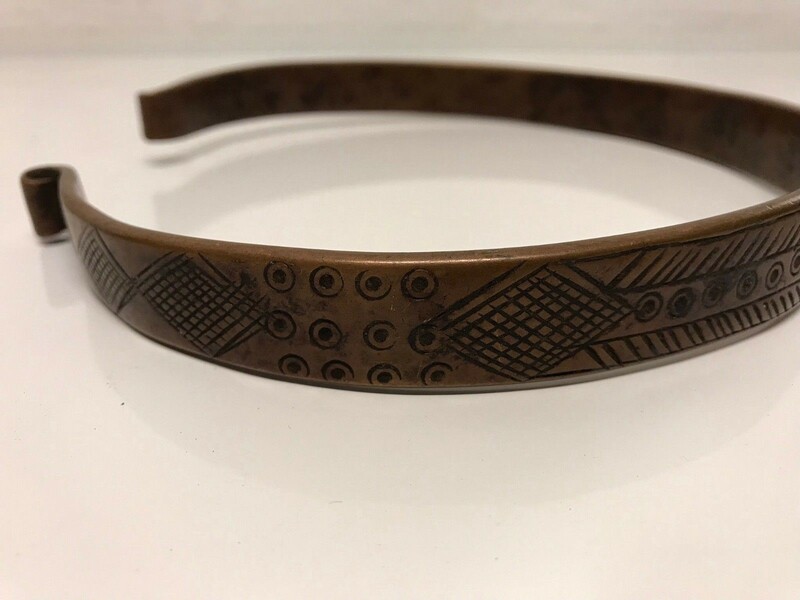 Begin 20th century collar style necklace from Oromo valley in southern Ethiopia. 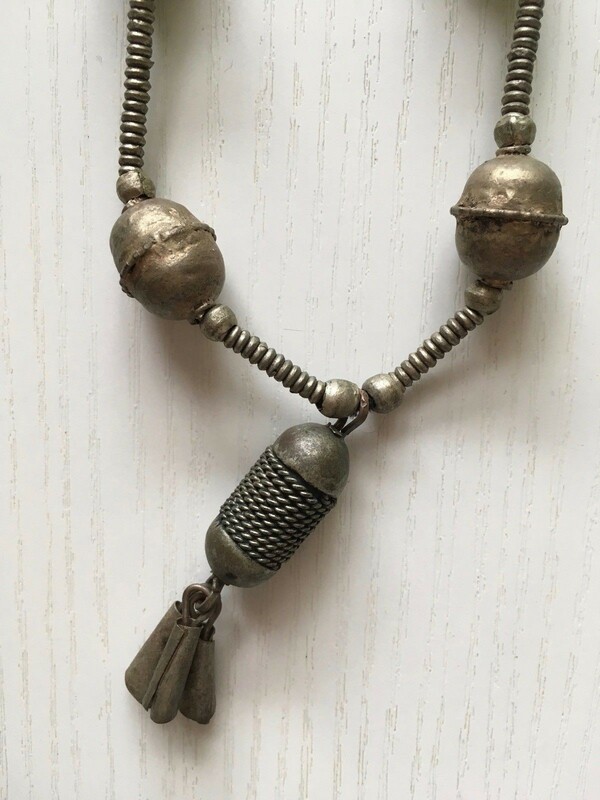 The necklace is made from solid brass with etched designs. 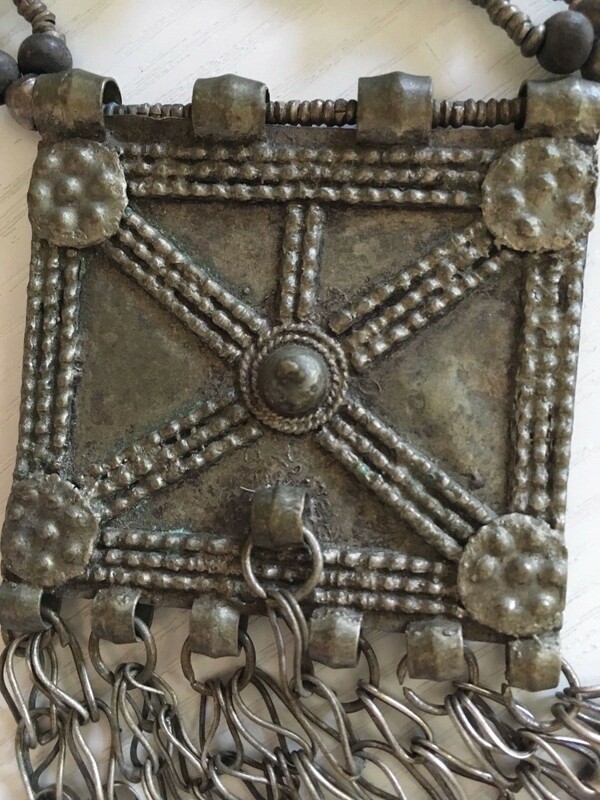 It has a minimalist, almost industrial aesthetic that doesn't appear very often in African antiques. 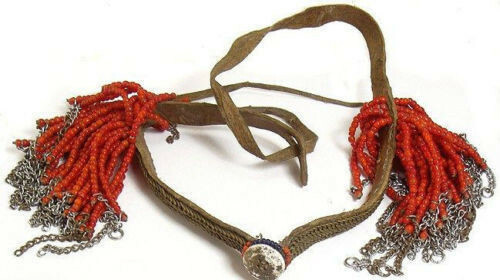 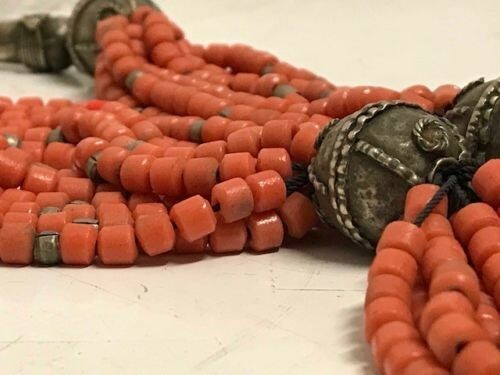 The necklace has been heavily worn in a traditional setting and it is in very good condition. 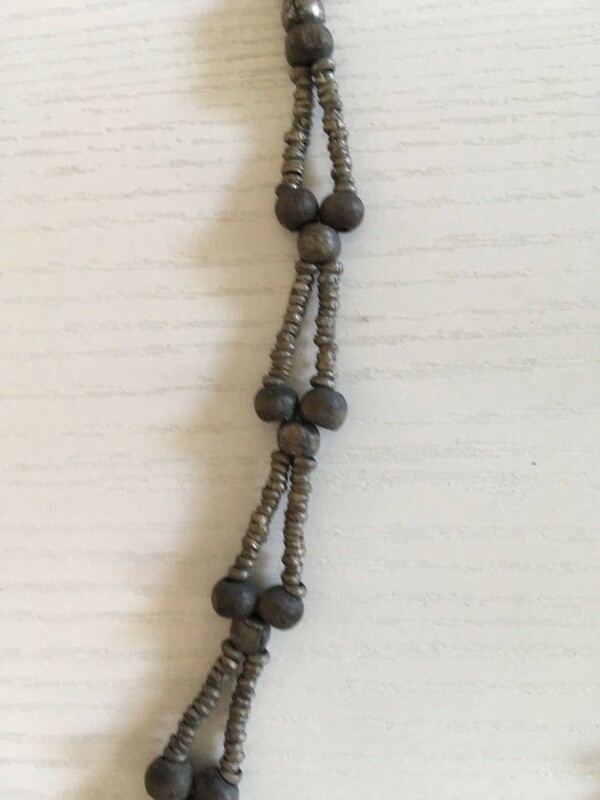 The necklace is not a perfect circle and it is a heavy, substantial piece. 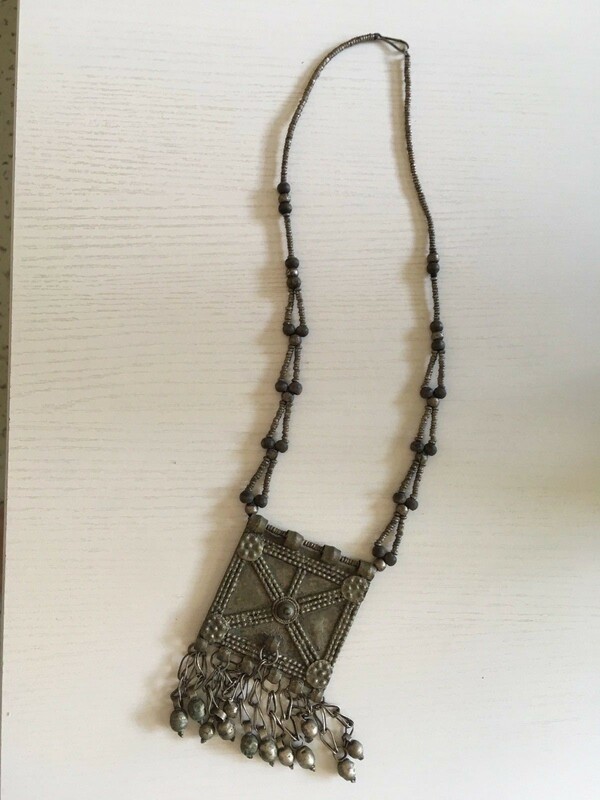 Ethiopia: Tribal used African Ethiopian Authentic Hamar women Necklace. 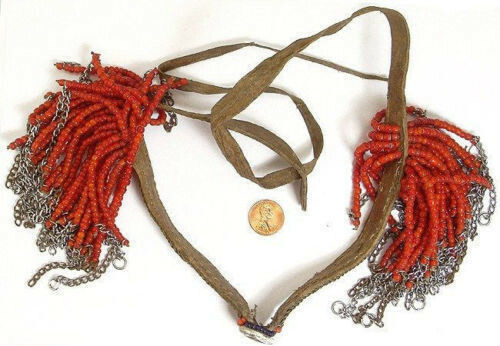 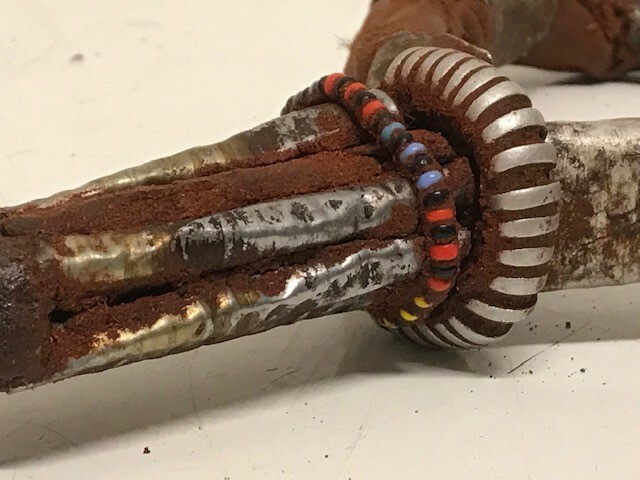 Size are 22 cm long and 12 cm wide. 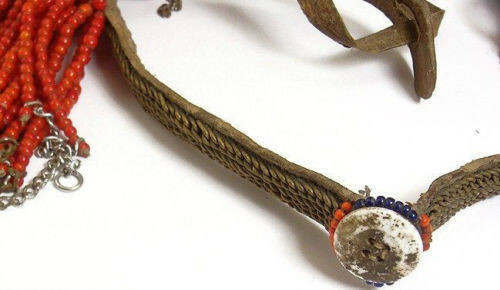 A Konso man wears a phallic Kallaacha on his forehead. 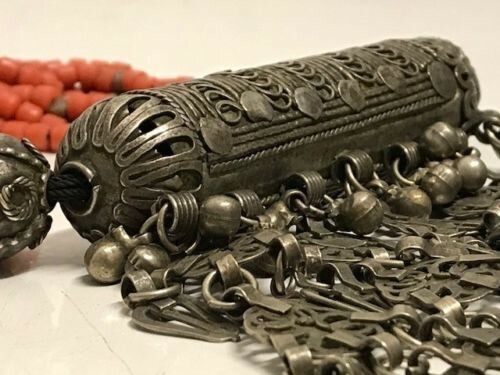 Made of cast aluminium and wood or bone. 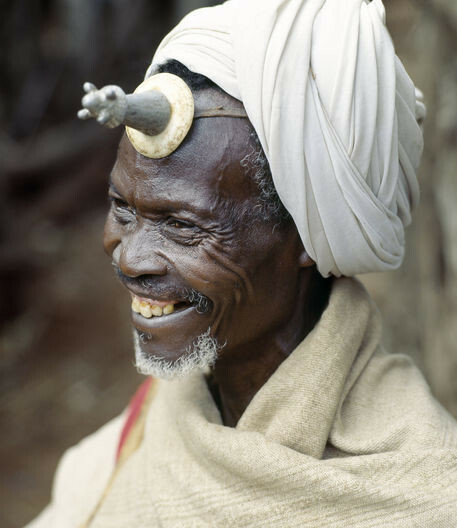 A Konso man wears a phallic Kallaacha on his forehead. 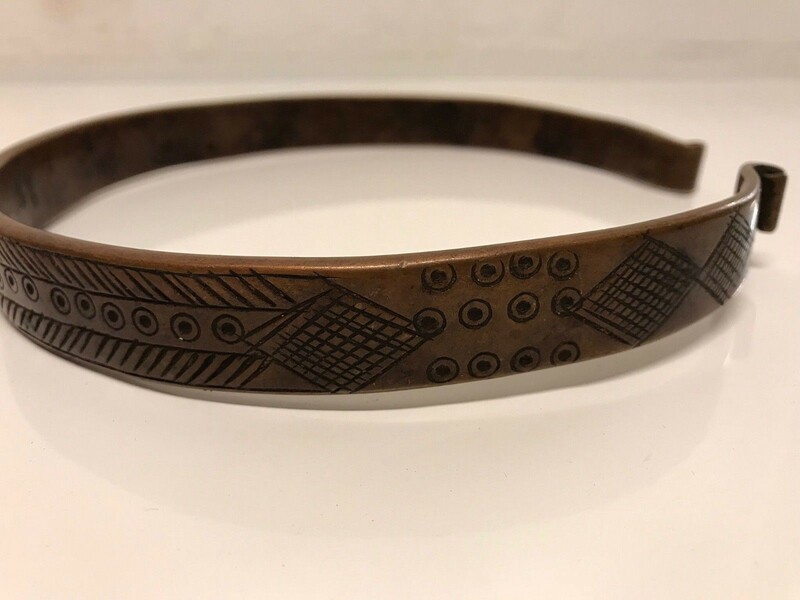 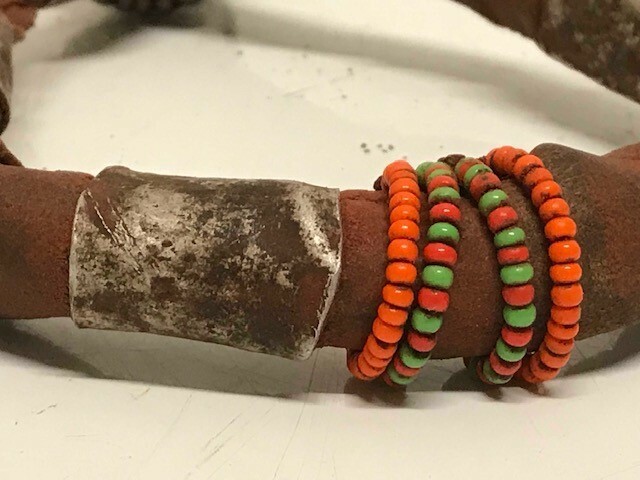 Made of cast aluminium and wood or bone, the Kallaacha is worn during the tribe's initiation and gada age-grade ceremonies. 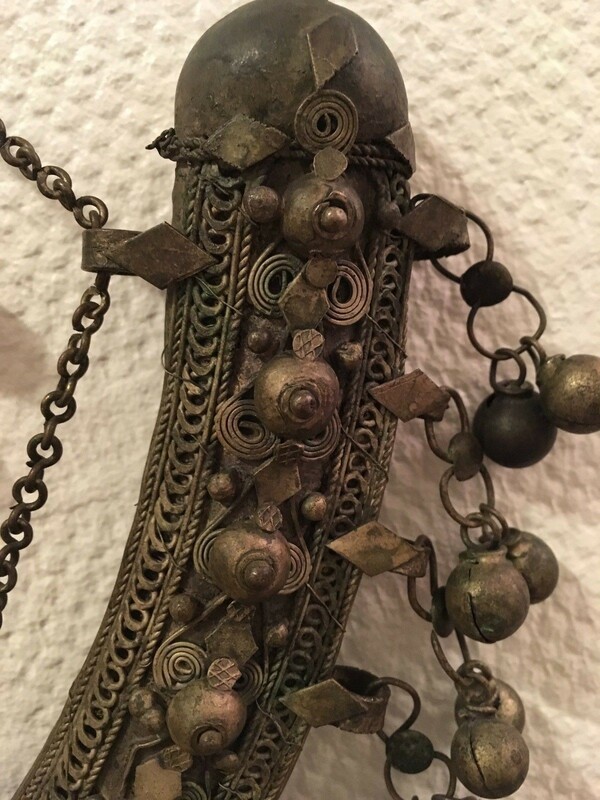 The Konso who live by their successful agricultural economy, live next door to the pastoral Borana and have many customs in common including the wearing of the phallus.